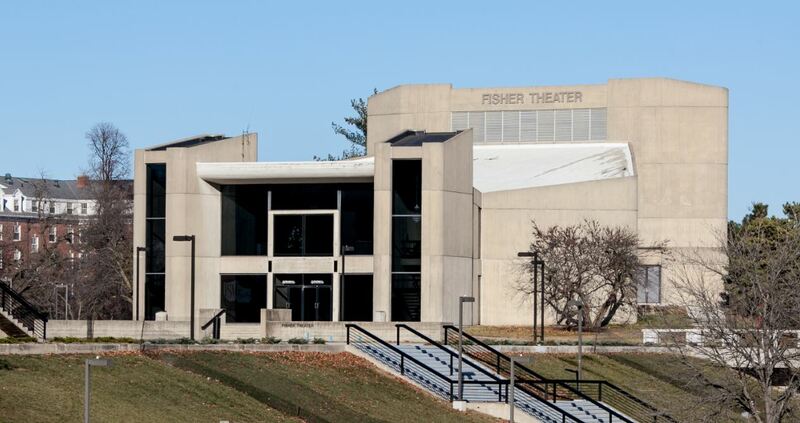 Fisher Theater seats 450 in an intimate setting, perfect for drama, dance and ISU theater productions. There are 424-permanent seats; 26-portable seats; and wheelchair spaces available. Loading dock; freight elevator; truck parking; stage; two dressing rooms; mobility-impaired access for audience members. Permanent sound system; portable sound system; in-house intercom; lighting system; piano; acoustical shell; dance floor; 20 counterweighted line sets. 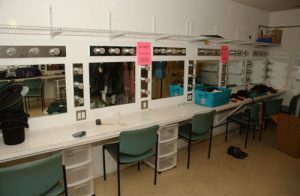 ISU Theatre’s scene and costume shops are located in Fisher Theatre and occupy over 3,600 square feet. There, ISU students perform all scenic and costume construction for ISU Theatre’s six show season. The scene shop is fully equipped with industrial wood and metal tools, as well as a full pneumatic system. The paint shop includes a HVLP spray system. 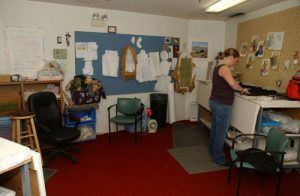 The scene shop is the location for the lab sections of the Theatre Practicum, Introduction to Theatrical Production, and Stagecraft classes as well as painting labs. The Fisher Theater costume shop is equipped with home and industrial sewing machines, as well as sergers, industrial pressing equipment, and other specialized machines. 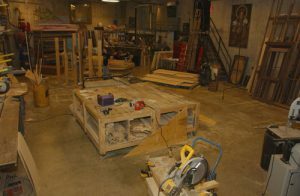 The cutting tables have drop leaves for cutting large pattern pieces, while folding down to maximize space, with the cutting room also doubling as the actors’ Green Room during productions. The dressing rooms in Fisher are equipped with bathrooms and shower facilities.